Come show with us in our 2019 exciting show season! Class lists will be added as they are completed. TWHA’S 2019 show season is shaping up. Please see below the list of scheduled shows for 2019. If you need additional information please contact each show promoter or someone from our Board of directors or one of our officers. ​please contact Kim Moser (919) 219-0256. 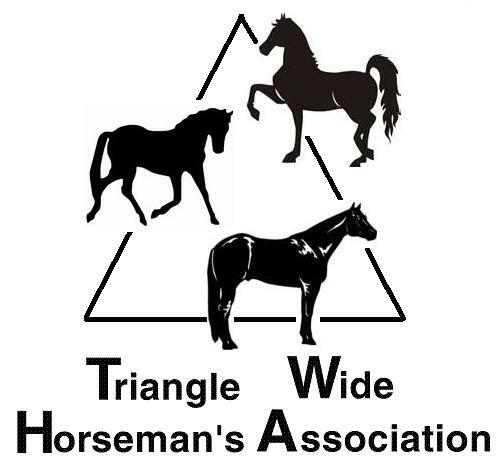 To be eligible for Year-End Awards (other than Special Medal Awards), current membership and participation in a minimum of 50% TWHA shows is REQUIRED during the current show season. Quarterly membership meetings to be held in conjunction with Board meetings in March, June, September, & December. Elections to be held at the Awards Banquet. Don't forget to reserve your number for 2019. This must be done every year to insure you have the number you want. Go to the forms page to find the correct document, fill it out, and return it to the address on it or one of our board members. REMEMBER: YOU MUST BE A CURRENT 2019 MEMBER TO BE ELEGIBLE FOR YEAR END AWARDS.